Bariatric surgeries, including vertical sleeve gastrectomy (VSG), resolve diabetes in 40-50% of patients. Studies examining the molecular mechanisms underlying this effect have centered on the role of the insulinotropic glucagon-like peptide 1 (GLP-1), in great part because of the ∼10-fold rise in its circulating levels after surgery. However, there is currently debate over the role of direct β-cell signaling by GLP-1 to mediate improved glucose tolerance following surgery. In order to assess the importance of β-cell GLP-1 receptor (GLP-1R) for improving glucose control after VSG, a mouse model of this procedure was developed and combined with a genetically modified mouse line allowing an inducible, β-cell specific Glp1r knockdown (Glp1rβ-cell-ko). Mice with VSG lost ∼20% of body weight over 30 days compared to sham-operated controls and had a ∼60% improvement in glucose tolerance. Isolated islets from VSG mice had significantly greater insulin responses to glucose than controls. Glp1r knockdown in β-cells caused glucose intolerance in diet-induced obese mice compared to obese controls, but VSG improved glycemic profiles to similar levels during oral and intraperitoneal glucose challenges in Glp1rβcell-ko and Glp1rWT mice. Therefore, while the β-cell GLP-1R seems to be important for maintaining glucose tolerance in obese mice, in these experiments it is dispensable for the improvement in glucose tolerance after VSG. Moreover, the metabolic physiology activated by VSG can overcome the deficits in glucose regulation caused by lack of β-cell GLP-1 signaling in obesity. We assessed if leptin, a cytokine hormone known to enhance energy expenditure by promoting lipid and carbohydrate catabolism in response to physiologic stress, might directly regulate cellular glycolysis. A transcriptomic analysis of prolactin cells in the tilapia (Oreochromis mossambicus) pituitary rostral pars distalis (RPD) revealed that recombinant leptin (rtLep) differentially regulates 1,995 genes, in vitro. 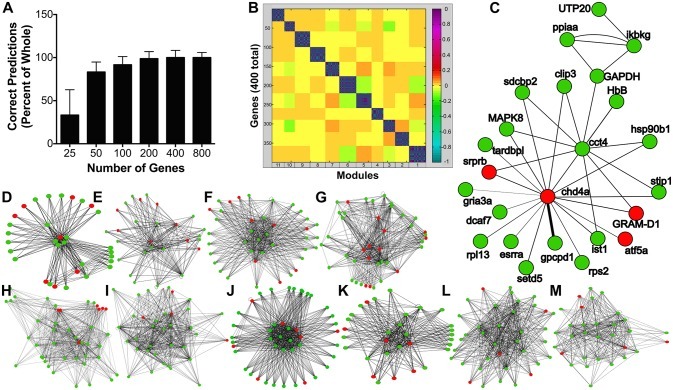 Machine learning algorithms and clustering analyses show leptin influences numerous cellular gene networks including metabolism; protein processing, transport, and metabolism; cell cycle and the hypoxia response. Leptin stimulates transcript abundance of the glycolytic enzyme glyceraldehyde-3-phosphate dehydrogenase (gapdh) in a covariate manner to the hypoxic stress gene network. Orthogonal tests confirm that rtLepA dose-dependently increases gapdh gene expression in the RPD along with transcript abundance of 6-phosphofructo-1-kinase (pfk1), the rate limiting glycolytic enzyme. Functional testing demonstrated that leptin stimulates PFK activity and glycolytic output, while Stattic (a STAT3 blocker) was sufficient to suppress these responses, indicating leptin stimulates glycolysis through a STAT3-dependent mechanism. Leptin also stimulated pfk1 gene expression and lactate production in primary hepatocyte incubations in a similar manner to those shown for the pituitary RPD. This work characterizes a critical metabolic action of leptin to directly stimulate glycolysis across tissue types in a teleost model system, and suggest that leptin may promote energy expenditure, in part, by stimulating glycolysis. These data in a teleost fish, suggest that one of leptin's ancient, highly-conserved functions among vertebrates may be stimulation of glycolysis to facilitate the energetic needs associated with various stressors. Abstract: Sirtuins are NAD+-dependent protein deacylases that regulate several aspects of metabolism and aging. In contrast to the other mammalian sirtuins, the primary enzymatic activity of mitochondrial sirtuin 4 (SIRT4) and its overall role in metabolic control have remained enigmatic. Using a combina- tion of phylogenetics, structural biology, and enzy- mology, we show that SIRT4 removes three acyl moieties from lysine residues: methylglutaryl (MG)-, hydroxymethylglutaryl (HMG)-, and 3-methylgluta- conyl (MGc)-lysine. The metabolites leading to these post-translational modifications are intermediates in leucine oxidation, and we show a primary role for SIRT4 in controlling this pathway in mice. Furthermore, we find that dysregulated leucine meta- bolism in SIRT4KO mice leads to elevated basal and stimulated insulin secretion, which progressively develops into glucose intolerance and insulin resis- tance. These findings identify a robust enzymatic activity for SIRT4, uncover a mechanism controlling branched-chain amino acid flux, and position SIRT4 as a crucial player maintaining insulin secretion and glucose homeostasis during aging. Leptin is an important cytokine for regulating energy homeostasis, however, relatively little is known about its function and control in teleost fishes or other ectotherms, particularly with regard to interactions with the growth hormone (GH)/insulin-like growth factors (IGFs) growth regulatory axis. Here we assessed the regulation of LepA, the dominant paralog in tilapia (Oreochromis mossambicus) and other teleosts under altered nutritional state, and evaluated how LepA might alter pituitary growth hormone (GH) and hepatic insulin-like growth factors (IGFs) that are known to be disparately regulated by metabolic state. Circulating LepA, and lepa and lepr gene expression increased after 3-weeks fasting and declined to control levels 10 days following refeeding. This pattern of leptin regulation by metabolic state is similar to that previously observed for pituitary GH and opposite that of hepatic GHR and/or IGF dynamics in tilapia and other fishes. We therefore evaluated if LepA might differentially regulate pituitary GH, and hepatic GH receptors (GHRs) and IGFs. Recombinant tilapia LepA (rtLepA) increased hepatic gene expression of igf-1, igf-2, ghr-1, and ghr-2 from isolated hepatocytes following 24 h incubation. Intraperitoneal rtLepA injection, on the other hand, stimulated hepatic igf-1, but had little effect on hepatic igf-2, ghr1, or ghr2 mRNA abundance. LepA suppressed GH accumulation and gh mRNA in pituitaries in vitro, but had no effect on GH release. We next sought to test if abolition of pituitary GH via hypophysectomy (Hx) affects the expression of hepatic lepa and lepr. Hypophysectomy significantly increases hepatic lepa mRNA abundance, while GH replacement in Hx fish restores lepa mRNA levels to that of sham controls. Leptin receptor (lepr) mRNA was unchanged by Hx. In in vitro hepatocyte incubations, GH inhibits lepa and lepr mRNA expression at low concentrations, while higher concentration stimulates lepa expression. Taken together, these findings indicate LepA gene expression and secretion increases with fasting, consistent with the hormones function in promoting energy expenditure during catabolic stress. It would also appear that LepA might play an important role in stimulating GHR and IGFs to potentially spare declines in these factors during catabolism. Evidence also suggests for the first time in teleosts that GH may exert important regulatory effects on hepatic LepA production, insofar as physiological levels (0.05–1 nM) suppresse lepa mRNA accumulation. Leptin A, may in turn exert negative feedback effects on basal GH mRNA abundance, but not secretion. Leptin is an anorexigenic peptide hormone that circulates as an indicator of adiposity in mammals, and functions to maintain energy homeostasis by balancing feeding and energy expenditure. In fish, leptin tends to be predominantly expressed in the liver, another important energy storing tissue, rather than in fat depots as it is in mammals. The liver also produces the majority of circulating insulin-like growth factors (IGFs), which comprise the mitogenic component of the growth hormone (GH)-IGF endocrine growth axis. Based on similar regulatory patterns of leptin and IGFs that we have documented in previous studies on hybrid striped bass (HSB: Morone saxatilis × Morone chrysops), and considering the co-localization of these peptides in the liver, we hypothesized that leptin might regulate the endocrine growth axis in a manner that helps coordinate somatic growth with energy availability. Using a HSB hepatocyte culture system to simulate autocrine or paracrine exposure that might occur within the liver, this study examines the potential for leptin to modulate metabolism and growth through regulation of IGF gene expression directly, or indirectly through the regulation of GH receptors (GHR), which mediate GH-induced IGF expression. First, we verified that GH (50 nM) has a classical stimulatory effect on IGF-1 and additionally show it stimulates IGF-2 transcription in hepatocytes. Leptin (5 and/or 50 nM) directly stimulated in vitro GHR2 gene expression within 8 h of exposure, and both GHR1 and GHR2 as well as IGF-1 and IGF-2 gene expression after 24 h. Cells were then co-incubated with submaximal concentrations of leptin and GH (25 nM each) to test if they had a synergistic effect on IGF gene expression, possibly through increased GH sensitivity following GHR upregulation by leptin. In combination, however, the treatments only had an additive effect on stimulating IGF-1 mRNA despite their capacity to increase GHR mRNA abundance. This suggests that leptin’s stimulatory effect on GHRs may be limited to enhancing transcription or mRNA stability rather than inducing full translation of functional receptors, at least within a 24-h time frame. Finally, leptin was injected IP (100 ng/g and 1 μg/g BW) to test the in vivo regulation of hepatic IGF-1 and GHR1 gene expression. The 100 ng/g BW leptin dose significantly upregulated in vivo IGF-1 mRNA levels relative to controls after 24 h of fasting, but neither dosage was effective at regulating GHR1 gene expression. These studies suggest that stimulation of growth axis component transcripts by leptin may be an important mechanism for coordinating somatic growth with nutritional state in these and perhaps other fish or vertebrates, and represent the first evidence of leptin regulating GHRs in vertebrates. Prolactin is a major inhibitor of hepatic Leptin A synthesis and secretion: studies utilizing a homologous Leptin A ELISA in the tilapia. The present study identifies regulatory interactions between leptin A (LepA) and the pituitary hormone prolactin (PRL). In order to measure tilapia (Oreochromis mossambicus) LepA, an enzyme-linked immunosorbent assay (ELISA) utilizing a rabbit polyclonal antibody specific to tilapia LepA was first developed. The antibody shows strong cross reactivity to recombinant tilapia LepA (rtLepA), and a corresponding 16kDa protein in both tilapia and striped bass plasma, but not to recombinant human leptin (rhLep). The assay has a linear detection range of 0.25-1000nM, with intra- and interassay variability of 9% and 16%, respectively. Plasma LepA levels measured in tilapia ranged from 0.8 to 3.9nM, similar to that found for other vertebrates. Hypophysectomy (Hx) increased circulating LepA and lepa mRNA levels in the liver, the dominant source of hormone production. Adminstration of ovine PRL (oPRL, 5μg/g BW) to Hx fish restored circulating LepA and hepatic lepa mRNA levels to those of control fish. Additionally, oPRL reduced lepa mRNA levels in a dose-dependent fashion in cultured hepatocytes following an 18h incubation. Previous work in our lab indicates that rhLep stimulates PRL release in vitro from tilapia pituitaries. Here, both rtLepA and rhLep (0.5μg/g BW) increased mRNA expression of tilapia prolactin mRNAs (prl1, prl2) in the pituitary in vivo. These results demonstrate that LepA enhances pituitary prolactin synthesis and release, while PRL in turn inhibits hepatic leptin secretion and synthesis in teleosts. We postulate this regulatory interaction may be necessary for mobilizing energy reserves during acute hyperosmotic adaptation. Role for leptin in promoting glucose mobilization during acute hyperosmotic stress in teleost fishes. Osmoregulation is critical for survival in all vertebrates, yet the endocrine regulation of this metabolically expensive process is not fully understood. Specifically, the function of leptin in the regulation of energy expenditure in fishes, and among ectotherms, in general, remains unresolved. In this study, we examined the effects of acute salinity transfer (72 h) and the effects of leptin and cortisol on plasma metabolites and hepatic energy reserves in the euryhaline fish, the tilapia (Oreochromis mossambicus). Transfer to 2/3 seawater (23 ppt) significantly increased plasma glucose, amino acid, and lactate levels relative to those in the control fish. Plasma glucose levels were positively correlated with amino acid levels (R2=0.614), but not with lactate levels. The mRNA expression of liver leptin A (lepa), leptin receptor (lepr), and hormone-sensitive and lipoprotein lipases (hsl and lpl) as well as triglyceride content increased during salinity transfer, but plasma free fatty acid and triglyceride levels remained unchanged. Both leptin and cortisol significantly increased plasma glucose levels in vivo, but only leptin decreased liver glycogen levels. Leptin decreased the expression of liver hsl and lpl mRNAs, whereas cortisol significantly increased the expression of these lipases. These findings suggest that hepatic glucose mobilization into the blood following an acute salinity challenge involves both glycogenolysis, induced by leptin, and subsequent gluconeogenesis of free amino acids. This is the first study to report that teleost leptin A has actions that are functionally distinct from those described in mammals acting as a potent hyperglycemic factor during osmotic stress, possibly in synergism with cortisol. These results suggest that the function of leptin may have diverged during the evolution of vertebrates, possibly reflecting differences in metabolic regulation between poikilotherms and homeotherms.